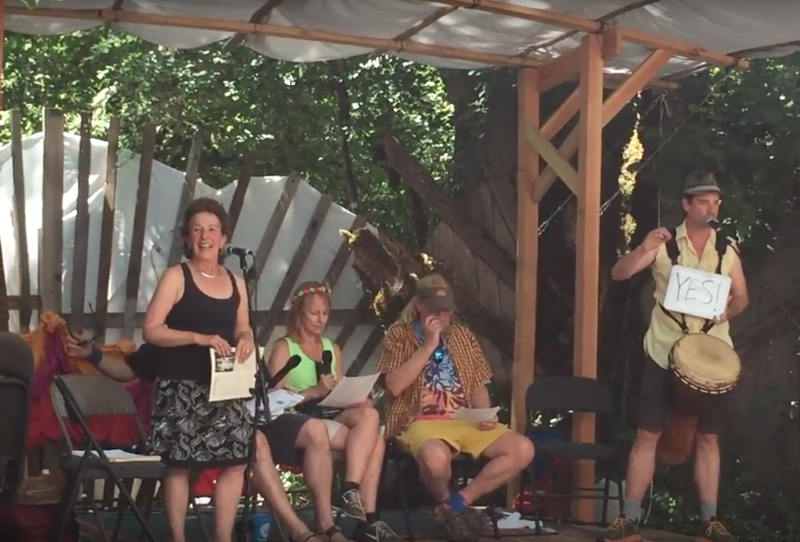 At the Oregon Country Fair on July 10, 2017, TWAICB Director Sandy Sohcot and Everyone Orchestra Conductor Matt Butler led a reading and discussion of the Universal Declaration of Human Rights. Watch the video, courtesy of Mark Egber! Sandy says: “We had a great audience who got into an interactive discussion after the read-thru in response to my question, ‘Why should we know about the UDHR today?’ In the last video, where I start by referring to a last comment, that person noted that she would like us to recapture the collective spirit that led to the adoption of the UDHR, and that we must teach our children about it to help compel the push for peace and upholding the principles of the document.